TEX is the file extension used with a document prepared by LaTeX, a premium typesetting system. Similar to a word-processor, it is mainly used to prepare mathematical and scientific documents. LaTeX was first developed by Leslie Lamport in 1985, and is now maintained by LaTeX Project. TEX is basically a special purpose programming language that can stand on its own and does not require applications like Page Maker or Font Lab. Its only condition is that it must contain all the fonts that it requires. It is best suited for documents where authors can concentrate on the content without worrying about the looks – the main reason for being used for technical documents. For instance, whereas in a word processor it is difficult to write and edit mathematical equations, justify proper margins to list scientific information, or to change footnotes or tables, LaTeX does it all automatically and produces a document that is camera-ready. Thus the main features of LaTeX include creation and control of tables and figures, sectioning and cross-referencing, typesetting complex mathematical and chemical formulas, automatic creation of indexes and bibliographies, inclusion of graphics, and multi-lingual typesetting. TEX files are easy to create, small in size, and platform independent. Most publishers of scientific journals and articles, as well as conference organizers, only accept documents formatted in LaTeX. LaTeX is a free standard file format that is supported by many programs. It is most often included with Unix. On Windows, TEX files may be opened using LaTeX Editor, XEmTeX, and ProTeXt; and on Mac OS with LyX/Mac and MacTeX. 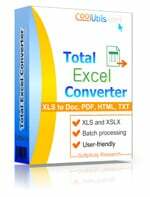 TEX files may be converted to PDF, HTML, ODT, ODS, TXT or other formats by Total Excel Converter.